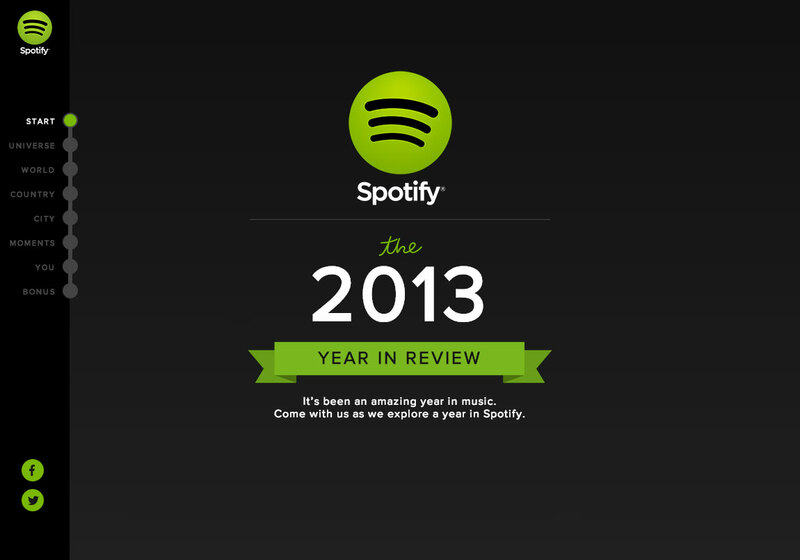 Music streaming giants, Spotify, have launched an overview of their 2013 year in an incredible One Page website. This dazzling One Pager assembles and animates as you scroll down revealing stats and infographics from a phenomenal year. It's been an amazing year in music. Come with us as we explore a year in Spotify.